Today, I am going to let you in on a secret – we acupuncturists are often a feisty bunch. Many of us entered this field because we were attracted to whole healing, often looking to heal our own health issues (or the health issues of someone we love), and to resolve our own inner demons and conflicts. Yes, like most healers. It is only in recent years that acupuncture has become more widely accepted: at hospitals, health clinics, harm reduction agencies, community clinics, and corporate wellness days. Western physicians often refer patients out to us to address various issues, because they may not understand how it works, but they know it does. Many insurance plans now include acupuncture as a benefit. Check out my blog post, “The Top 10 Reasons People Come In For Acupuncture”, to get just a sampling of what acupuncture can effectively treat! But, one thing is clear, many acupuncturists tend to be individuals who rock out on their own, carving their own path, drumming to their own beat. Why? Because up until only a few years ago, despite acupuncture’s roots being over 2,000 years old, it was not widely recognized as an effective healing modality! So, many acupuncture practitioners (especially the earlier ones in the Western Hemisphere) had to have some strong resolve and chutzpah to continue practicing, and standing up for, the medicine that my generation of acupuncturists now more freely practices. Interestingly enough, as unique as many of us are, there are still many unifying traits that fuse us together, like white on healing rice congee. We include ginger in everything. Ginger is considered a Chinese Medicinal herb, the dried version (which is usually from the mother ginger, which has sprouted twice and grown for three years) is called Gan Jiang, and the fresh version (which is usually the daughter ginger, which has grown for about a year) is called Sheng Jiang. Because dried ginger is hotter in temperature than fresh ginger, dried ginger is often used more for colds and freeing up the Lungs, such as when we have what we call Cold Phlegm conditions in the Lungs, and there is coughing with phlegm, feeling like the chest is heavy and full, and we easily feel cold especially in the arms and legs. Fresh ginger is warm, but not as hot, and is better for promoting good digestion, helps with nausea, releases Wind-Cold, regulates the Ying and Wei Qi, alleviates coughing, and warms the Lungs. So, yep, acupuncturists often have some gigantic root of fresh ginger handy, and wait with baited breath to grate that lovely root into most dishes we can get our hands on! We only drink water that’s room temperature or warm. Another thing we learn as acupuncturists early in our education is that cold foods congeal, and make things more difficult on the Spleen to do its job (the main organ involved in digestion in Chinese Medicine). Throughout our education, we are thus exposed to all the disorders of an unhealthy Spleen. And, there are so many! Helping the Spleen do its important work is often related to our diet and what we eat. Actually, most organs in Chinese Medicine can be greatly helped through proper diet and certain tonifying foods for that organ. But, the Spleen REALLY responds to what we put into our bodies. (To get the 411 on the Spleen, check out my blog post, “Top 5 Ways To Nourish Your Spleen In Chinese Medicine”.) One of the most basic things we can do to help our Spleen is eat more warm cooked foods, and avoid cold drinks and food, raw dishes (or at least, keep them to a minimum, my dear salad lovers!) What happens when we have too much cold or raw food? It weakens our Spleen energy and digestive system (unless you have a very strong digestive system, and can enjoy that smoothie once and a while). That is why you’ll almost always catch an acupuncturist with a thermos or mason jar full of room temperature or warm drink on hand. We are obsessed with poop. Bowel movements, elimination, poop, and then some. There are many ways to describe a very mundane yet important function in the body. Acupuncturists are obsessed with poop, and when you’re in their office, they are obsessed with yours. In a good way! The way it is formed tells us so much – if they are formed like pebbles vs. a log, are firm or soft, if there is constipation or diarrhea, if it’s difficult to eliminate or has undigested particles, what the color is, among other factors. These things can tell us the state of your Spleen, digestive tract, and status of your Qi. It is also telling if you are feeling gassy, nauseous, having intestinal pain, or having a lot of rumbling in the tummy (aka borborygmus). Your poop is a tome of information! You will often find us staring at our tongue in the mirror. What are we looking at? We are looking at the health of our body, as revealed through our tongues. Our bodies talk to us, always letting us know the status of our health. Our tongues and pulses are the diagnostic tools acupuncturists use to assess what’s going on in our system. What I find pretty amazing is that the status of the tongue and pulse can change very quickly. Just like the pulse, the tongue covers all the main organs of the body in Chinese Medicine. We see it through the geographical areas of the tongue, and note the color and shape of the body of the tongue, the color and thickness of the tongue coat, any redness or petechiae (tiny red dots on the tongue), if the coat is peeling, if the body is full, thin, pointy, if there’s any deviation of the tongue, any distention of the sublingual veins, if there are any divets or cracks, and where they’re located on the tongue. To riff off a terrible John Mayer song, your tongue is a wonderland! 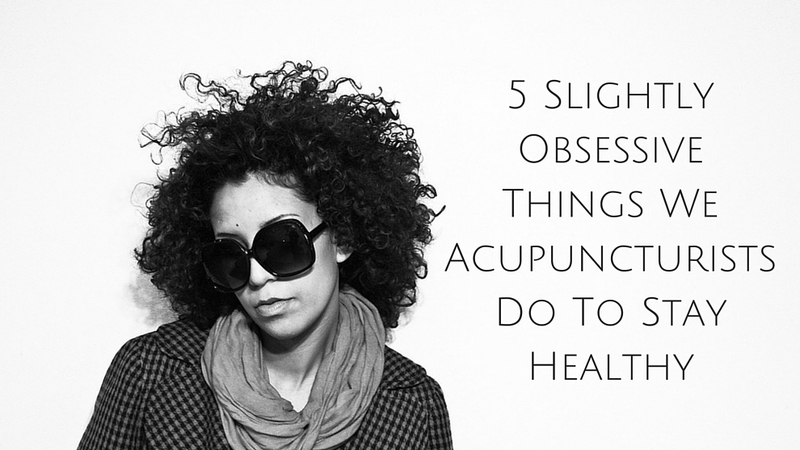 These habits may seem a bit peculiar at first to the non-acupuncturist. However, believe you me, they are based on ancient knowledge that has been around, and healing, for thousands of years! Do you have any hard worn health tips that have stood the test of time? I’d love to hear about them in the comments, below! Hahaha spot on, brilliant article. Yes very much resonates, I have found these changes very natural. You could also add in, obsessed with cupping people as a student (not allowed needling away from Uni) and obsessed with soup too! Yes, the additional slight obsession we have over bone broth! Guilty. Qi Gong or Tai Qi on a regular, even throughout the day, to keep up energy. And to add Qi to every needle. Yes, yummy Qi Gong or Tai Qi! Good one. I never use ice. Now I know why! and except for the scarf, I do all those other things; seems natural to me. lol. Are you an acupuncturist yourself? If not, perhaps you’re just naturally in tune with Chinese Medicine! 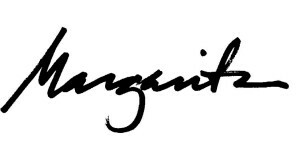 Margarita, thanks for another great article. I was struck by item one about obsessive wearing of scarves and the ideas of wei-qi and “Wind-Heat” and “Wind-Cold“… it made me think of how parallel it is to the Philippine healer “hilot” belief about “hangin” meaning “wind” or “air” getting into the body parts and causing illness. There is a phrase I would hear over and over again in the Philippines about taking care to not get “hit by the wind” or “hampak sg hangin” or else you could catch a cold… Also “pasmo” when there are sudden temperature changes and it gets in the “ugat” or veins and nerves and also the “buto,” the bones and the muscles. Thanks for sharing that! Thank you! Oh, yes, that’s right about the hangin. My Tita would always be beside herself when I’d sit in front of her A/C at her house, on a hot Manila day, telling me that I was “going to catch a cold”. Now I see why! Thanks for sharing those similarities, Dear. Hi! I’m a fan of acupuncture and Chinese Medicine, great article! I’ve been enjoying smoothies and juices lately, usually not super cold. I feel great after having one, do you think it is unhealthy for the spleen on a regular basis? Drinking cold drinks (including smoothies) can damage the Spleen over time, generally. That said, everyone is different, and if you have a particularly strong Spleen and constitution, you may be able to get away with having them more often. Just make sure to balance your diet with warm, cooked meals, and enjoy Spleen-friendly foods. A little disappointed there is no Daoyin/Qigong practice on this list. Maybe folks are spending too much time looking at their tongues. Thank you! So glad you enjoyed the article (and that it resonated for you). Or is this something coming from the Shiatsu? Your post made me smile. Thanks for writing in! Thank you for your comment! Actually, I think that may be an emphasis from Shiatsu. Great, suggestion, though!